ATLANTA, April 17, 2018 (Newswire.com) – CAMP3, a pioneer in developing practical artificial intelligence (AI) solutions, and the University of Georgia (UGA) are partnering to transform how farmers make planting, growing, and harvesting decisions. The exclusive data-sharing partnership will provide users of CAMP3’s FARMWAVE app access to UGA’s extensive catalog of over 35,000 crop and plant species, collected over 20 years. This relationship takes full advantage of FARMWAVE’s intelligence and collaboration capabilities and UGA’s 100+ years of research-based information. This will help farmers rapidly identify risks to their crops and find answers from a global community. “UGA is excited for the opportunity to share our data with a solution that has potential to revolutionize the global agriculture industry,” says Laura Perry Johnson, Associate Dean for Extension at UGA’s College of Agricultural & Environmental Sciences. 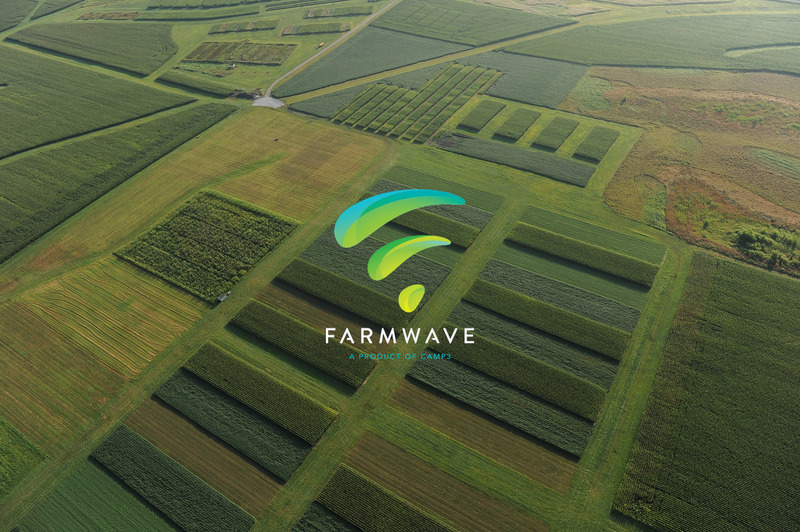 “We understand the importance of getting information to the field, and think FARMWAVE’s solution fills a much-needed void experienced by farmers around the world. Starting out as a crop scouting app called intelliSCOUT, FARMWAVE has since developed into a more comprehensive suite of tools adding field reporting, community collaboration, and integrations with software, equipment, and sensors. FARMWAVE will integrate with UGA’s Consortium for Internet Imaging Database Systems (CIIDS), which will become a central repository for FARMWAVE to learn more about crops and the pathogens and pests that affect them. This repository will provide the comparative analysis for FARMWAVE’s artificial intelligence. Powered by Google Cloud, FARMWAVE features the world’s first cataloged library of metadata-tagged imagery for plant biology in agriculture. The library, which is updated daily, houses more than 100,000 images for machine learning to digitize phenotyping, sourced from data that has been properly classified by subject-matter experts from around the world. With 20 years of imagery data that comprises more than 35,000 species, CIIDS will propel FARMWAVE’s system beyond any other in agriculture, increasing its image library size into the millions. Building on its greater than 90 percent accuracy in pinpointing pests and diseases, CIIDS will offer deeper background for greater power. The collaboration will also give FARMWAVE more professional resources from UGA’s agriculture extension. UGA will play a major role in the FARMWAVE initiative as the product is rolled out to farmers around the world. CAMP3 is an innovative technology agency that specializes in developing solutions for various industries using Artificial Intelligence (AI) and the Internet of Things (IoT). CAMP3’s product FARMWAVE blends AI, machine learning, and deep learning into a dynamic community tool for agriculture. Headquartered in Alpharetta, Georgia. For more information, visit CAMP3.io and FARMWAVE.io. UGA Extension was founded in 1914 through the Smith-Lever Act, a federal law that established and funded a state-by-state national network of educators who bring university-based research and practical knowledge to the public. Today, Extension in Georgia is a cooperative effort by federal, state and local government partners administered by UGA and Ft. Valley State University. For more information, visit extension.uga.edu.